Fibroblasts, or connective tissue cells. 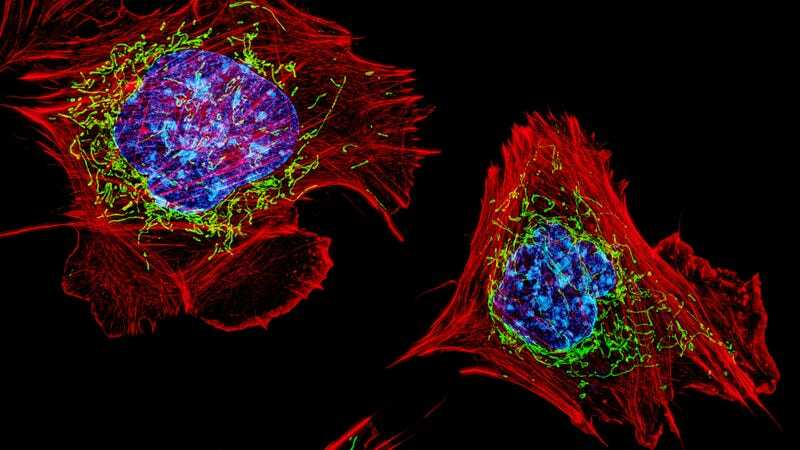 Nuclei in blue, mitochondria in green. 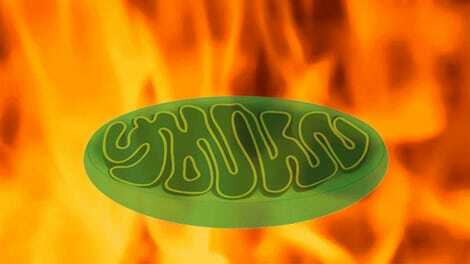 You probably learned two things about mitochondria in high school biology. First, they’re the powerhouses of the cell. Second, you can only inherit them from your mother. But a new study seems to cloud that second point. The story began when a four-year-old patient suffering from fatigue and muscle pain was referred to physician-scientist Taosheng Huang at the Cincinnati Children’s Hospital Medical Center. Others had suggested the boy was showing signs of a mitochondrial disorder, so Huang sequenced and analyzed the boy’s mitochondrial DNA—and found an abnormally high level of “heteroplasmy,” meaning different mitochondria seemed to contain different genes. These results are naturally provocative, as several other attempts to show mitochondrial DNA passed from both parents or from the father to the child have turned up negative. Gizmodo has reached out to several outside sources for comment, and will update the post when we hear back. It’s unclear how male mitochondria would make it into an egg, since the egg destroys the sperm’s mitochondria after fertilization. The new paper, published in the Proceedings of the National Academies of Sciences, proposes that perhaps a mutation turns off the egg’s mitochondrion elimination abilities. It seems it can sometimes be hard to find firm rules in biology, even when it comes to the most well-accepted facts.